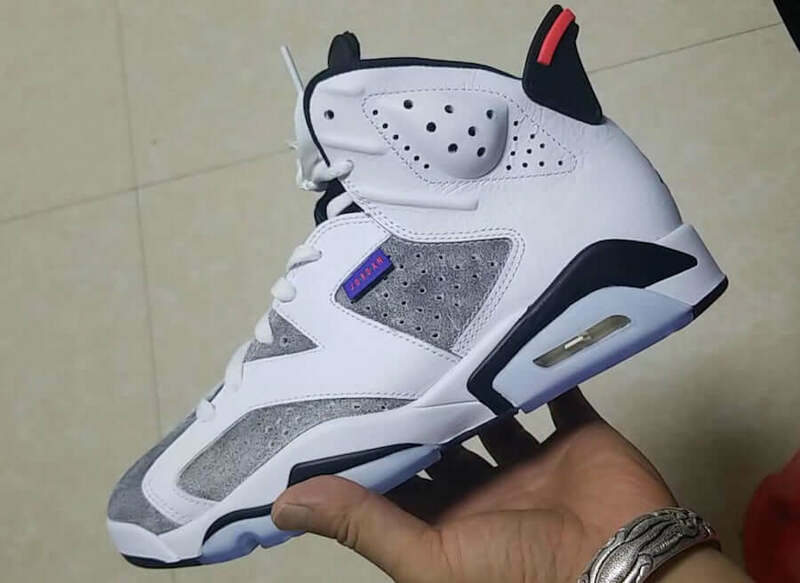 Jordan Brand is aiming to drop a new iteration of their Air Jordan 6 silhouette in a non-original “Flint” color blocking which was first adopted by the Air Jordan 7 and then witnessed on Air Jordan 9, as well as Air Jordan 13. 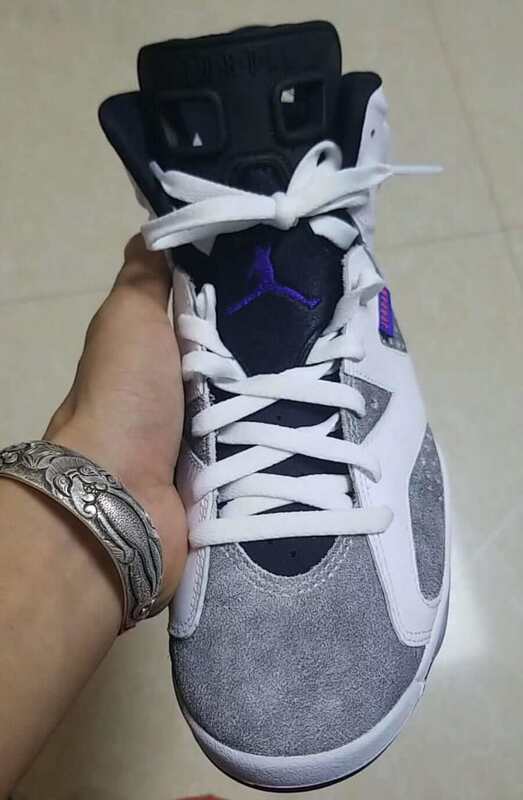 The shoe basically features a White leather upper complemented with Grey suede underlays. 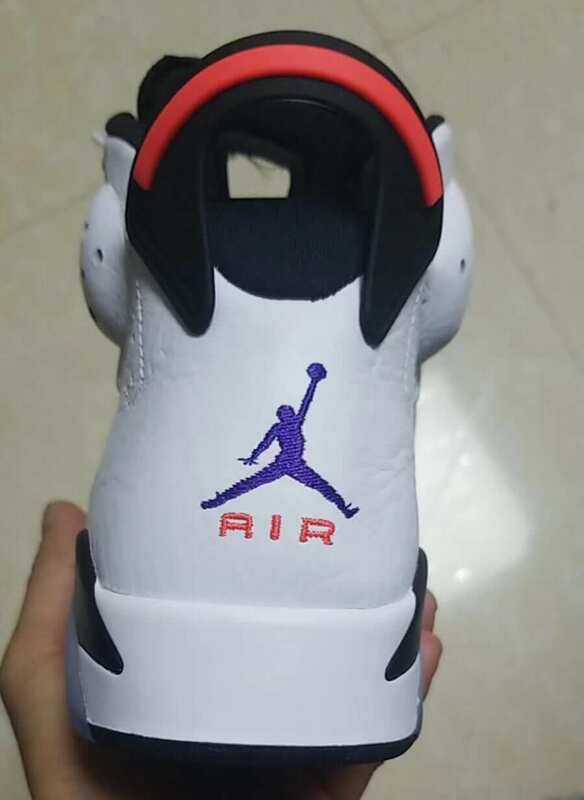 This upcoming Air Jordan 6 has been further enhanced with Purple and Infrared accents seen throughout its body followed by black detailing. 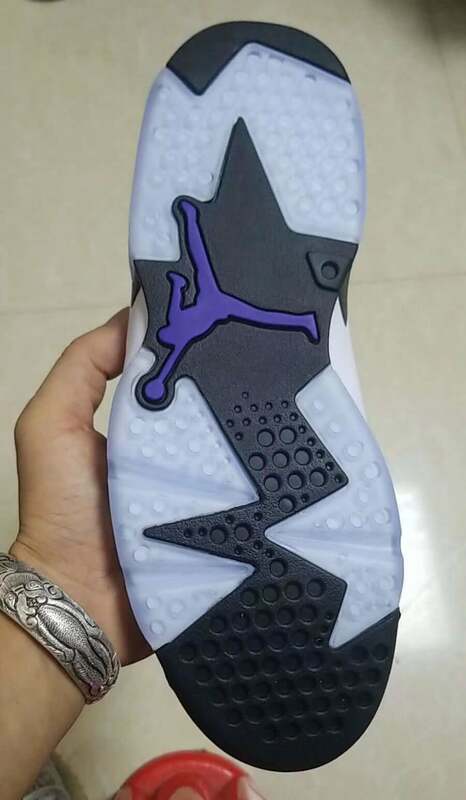 At last, completing the whole design altogether is a new branding tab placed on the lateral side and an icy translucent outsole. Retailing for $190, check out more detailed images below and grab a pair for yourself at any select Jordan Brand retailers during sometime in 2019.